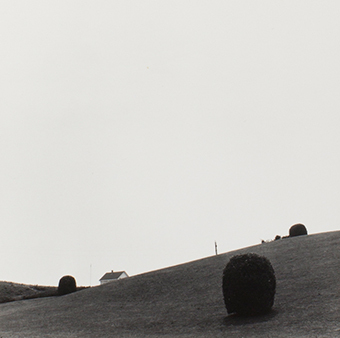 During the 1960s and 1970s a new generation of American photographers turned attention to their immediate surroundings: suburban domestic architecture, industrial structures, parking lots, and commercial buildings became the primary subjects of their modern landscape photography, signaling a pronounced break from the picturesque American landscape style prevalent during the first half of the 20th century. Ordinary World features photographs from the Museum’s collection by artists working at the beginning of this movement, and demonstrates how their restrained approach continues to influence present-day landscape aesthetics. This permanent collection installation complements the exhibition The Question of Hope: Robert Adams in Western Oregon, elucidating the landscape style that Adams helped establish and that endures in his contemporary works.